The Myth of Sisyphus was one of those books I attacked with dog-ears and pen marks. Whole pages are underlined in my well-thumbed copy, which I revisited when writing my novel manuscript Smoke & Dancing, and recently for my thesis. I think about my own steps to lucidity, when I acknowledged life’s inherent contradictions, and the ‘denseness’ of things, and how this affected me so young – a time when I found the majority of adults around me seemed to prefer a kind of gloss (not out of stupidity at all but out of ease of living). ‘Weariness comes at the end of the acts of a mechanical life, but at the same time it inaugurates the impulse of consciousness. It awakens consciousness and provokes what follows. What follows is the gradual return into the chain or it is the definite awakening.’ And if the awakening is acknowledged, Camus proceeds, one must choose suicide or revolt. This may seem extreme but the nakedness of the world and the sensitivity of the person struck by the absurd feels it as a weight that is also contradictory in its nature (and thus a continuation of the absurd) in that it is tragic and beautiful all at the same time. The absurd awakening is also a bare honesty and so is seen by ‘reason’ or the structures of society (including religion, work cycles and responsibilities) as being a kind of innocence (or even infantilism). The person who chooses revolt must be prepared to give up hope, because only in giving up hope can one truly realise the roundness, density and potency of a moment, and thus true freedom and happiness. It is somewhat hard to grasp because as human beings, we are somehow built with hope, progress, and forward-projection within us (or it is socialised in us). But in recognition of the absurd the individual tries to remember that hope is futile. To revolt is ‘to live without appeal’. It may seem then, that the absurd individual has no responsibility, but ‘revolt gives life its value. Spread out over the whole length of a life, it restores majesty to that life.’ Thus, the individual who sees the potency of life also has a wish to preserve it. Environmental concerns do not have to be synonymous with a ‘hope’ that does ultimately not make any difference. Every moment that one beautifies one’s environment can be one of happiness, and gratitude. There is liberation, too, in the realisation that one was never really free, that the liberalised individualists who preach that we are 100% in charge of our own destiny and must take all responsibility to strive and make the best of our lives (ie. make the most money and be the most looked at) are deluded. That a person can be at harmony with the absolute chaos of the universe, with the whims of our evolutionary instincts, and even the acceptance that we may even be sometimes swept up by these smiling gurus and ride with them. When I was 14 or 15 I saw American Beauty. I emerged from that cinema after the credits had passed, red-eyed but smiling. The purples of the cinema, the daylight, and the repetitive tune of the video games all smacked me in the face. I couldn’t describe what it had done to me. For years I would watch that film with people and shirk in horror when they didn’t see what I saw. I can see now that awakening comes in different ways to different people, but how traumatic when you believe something illustrates an untapped wellspring so perfectly and other people’s eyes are blind to it! I saw it five times at the cinema. It was the first thing that really acknowledged a sense of nothingness that had been bearing upon me. And it did it in such a humorous, warm and aesthetic way. All of the characters are flawed, desiring, and almost painfully human. I think this is why some people shy away from the film. ‘Reason’ (as tied to the moral structures of society) makes them take a step back from that red door. Lester Burnham, at the beginning, has been in a slumber – until a precocious young visage slaps him in the face. You have to see here that it is not Angela herself that has done it, but Lester’s fantastical version of her, dancing solely for him and always coated in rose petals. We see in the film of course, that Angela is just as ordinary as the rest of them (‘and you know it’ says Ricky). The ‘awakening’ that occurs to Lester we might presume will lead to suicide (having already been told at the beginning of the film he will die soon), or at least that his ‘immoral’ fantasising will lead to punishment. But his ‘revolt’ is evident in the way he quits his grey job and finds pleasure in a much humbler one, the way he rediscovers the joy of music, and allows himself to unfurl from the rigidities of conventional life by taking up smoking pot again. He also does other ‘unconventional’ things such as speaking his mind at a dinner party, and trading his car for one he ‘felt like’ buying. 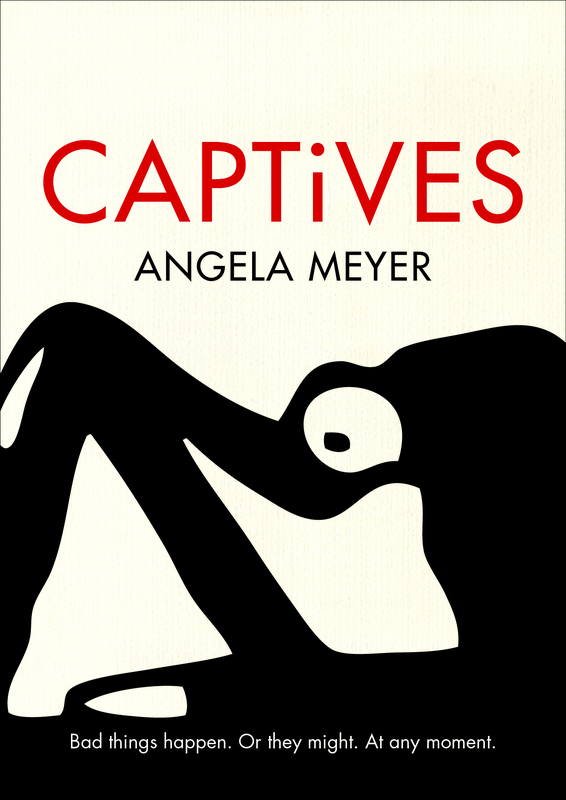 In the scene where he finally has a chance to take advantage of young Angela, he proceeds believing she is experienced and willing, but stops when he realises she is not. As mentioned, the absurd individual does not forget notions of ethics, not so much as how they are constructed (by religion or society), but in the fact that he does not forget his own experiences as ‘illustrations’ and ‘the breath of human lives’. Thus, the absurd individual is still empathetic, and this is what stops Lester from deflowering a virgin who he sees is not ready. The world is not ready for Lester Burnham, as the most rigid and buttoned-down character in the film (who is of course carefully sucking in his true nature) has it over him in the end, due to embarrassment at letting some of the rawness be apparent. The world is not ready, the film sadly says – as what would happen to ‘the economy’ if everyone decided to just ‘go all casual’ and climb trees and eat stuff out of the ground and get high? Consumer (and hence ‘rational’) society needs you to buy new cars, not old ones, and work your way up the corporate ladder so they can employ fresh meat at the bottom. Thus, Lester Burnham, and the expressions of the film (Ricky and Jane as well are staging their own ‘revolt’) were my first insight into these philosophies, which I only read about years later and a few tetris blocks slipped into place and disappeared, unburdening me. Camus believed the greatest relief for the mind awakened to the absurd is art – and he thought the fictional novel the greatest of all, as it could explain life in all its complexities through both thought and form. The absurd creator ‘give[s] the void its colours’. Camus asked of absurd creation ‘what I require from thought – revolt, freedom, and diversity’. This is a very short introduction to what is a much more rounded and complex philosophy, vividly discussed by Camus in The Myth of Sisyphus. I highly encourage you to read it. Many seasoned readers may have already dealt with this long ago, and continue their daily revolt and take pleasure in little things. I would love to hear from any of you in the comments section of who else you consider to be contemporary ‘absurd heroes’, or about your own experiences with the absurd. I plan to write more on this one day. Two that have come to mind for me (but with some arguments against as well) are Bart Simpson, and Special Agent Dale Cooper of Twin Peaks. 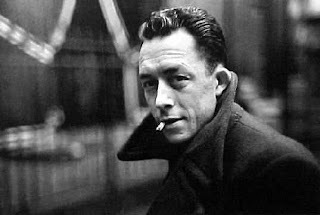 My husband has a degree in philosophy and loves Camus, and the film did the same thing to him. So fear not. You are not alone! Cool post Ang. I definitely agree with your Dale Cooper example. Would not surprise me if Lynch is also a huge Camus fan. Yeah, Lynch probably would be 🙂 Thanks for reading Ad! Bart Simpson most definitely! This is a fantastic post – I think I need to read it again!I was deeply moved by American Beauty as well and certainly felt those feelings that you did. I think if I’d seen it at that age (I was in my 20s), it would have had an even more profound effect on me. This is a thoughtful, astute piece of writing – you should be teaching literature at uni ! Well done, and thank you. This was a lovely post, my dear. Camus (& others of his era) are wonderful at capturing that particular creeping existential terror. I'm less convinced though by their response, which seems so ultra-individualist and over-invested in this idea of authenticity. I wonder about, say, Mersault in the Stranger: is his abandonment of abstract reasoning and the associated capacity to establish motive & causation really a good? What is the value of living as he does: without emotional or ethical ties to others around him? Absurdism at those kinds of extremes seem depressingly interchangeable with autism. He is 'authentic' in the sense that he is capable of responding only to direct stimuli, so his mind never has a chance to invent and justify and hope and imagine, and in the sense that he sees the futility of life and embraces it, but what kind of way is that to live? I'm sceptical of modes of thought that rely on individuals in isolation – and that transform that experience of unbridgeable solitude that attends existential crises into the foundation of a philosophical system. I think in abandoning hope & other such, we abandon too much of what is beautiful. There's a lovely scene in one of Beckett's novels where the bedridden protagonist dreams of trying to launch of down the stairs on his bed (he has a stick; he plans to punt down the corridors with it). It fails, of course (Beckett! ), but the hope is one of the most beautiful scenes in the entire trilogy; its failure one of the most crushing. I think condemning hope is tragic. I feel that the value of truth is social, cultural and political (and absolutely, vitally, pressingly important in these contexts). I'm sceptical, though, of its absolute metaphysical value: why truth and not happiness? Why authenticity and not hope? I think 'how should I live?' and 'what is the true nature of my condition?' are two fundamentally different questions: their relationship is far from obvious. 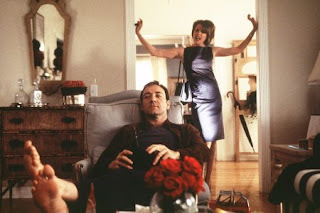 Your absurd heroes (and you do a fantastic job of describing them – American Beauty is a fantastic film) strike me as symptoms rather than solutions. In fact, I'm rather inclined to read the high-cliché of Lester's revolt (along with various other traces of and responses to existential malaise in the film) as an almost parodic mark of the complete inadequacy of even these formulations of revolt or suicide in the face of what is ultimately just an immovable fact of existence. They just become other, second-order ways of attempting to find meaning (cf: literary criticism's sophisticated backflips when faced with texts that resist interpretation).Actually, I'm not sure of any of this. But there's something along these lines that has always bugged me about existentialism & absurdism. I have Sisyphus on my wishlist at betterworld.com. i’m bookmarking this post for later–so i can read it again when i finally get my copy. what an amazing cover.